Affordable paradise...steps from the beach! 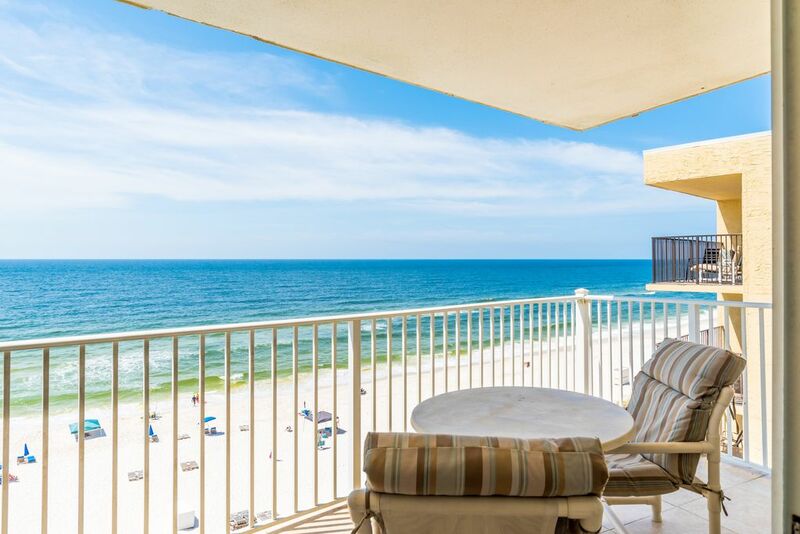 Enjoy awesome views of the white sandy beaches and beautiful Gulf of Mexico from your private balcony. You will be minutes away from great restaurants, shopping, golf courses, water sports and activities, grocery stores, and fishing! This condo is a 6th floor, Corner unit, which is a HUGE advantage for the view. It offers a relaxing, family friendly environment with a fitness facility, private swimming pool, and steps from the beach! This CORNER unit offers a spacious living area with a new flat screen HDTV and endless views of the Gulf. Also, I have a 2nd floor Corner Unit! A wonderful vacation awaits...reserve it now!! Onsite Fitness Facility, 1 mile from Arnold Palmer designed golf course, Lost Key. 7 miles from famous Flora Bama beach bar. Our family went down for spring break 2019. Incredible little condo right on the beach. Amazing view. Everything that you need for a perfect beach getaway. We loved the view from this property. There was plenty of good restaurants nearby. The condo was very beautifully decorated. Mike's email was one of the best we have gotten from a owner. We would highly recommend this condo. We loved our long weekend in Mikes corner unit and were sad to leave. His unit was very clean and had a well stocked kitchen. You couldn’t ask for a better view. Condo was clean, comfortable and in a great location! Literally right on the beach (as we had hoped) and just across the street from a couple cute shops and restaurants. Mike was very nice and great to work with! We enjoyed our stay! Loved the stay everything was nice just wish I could have stayed longer. Great view! Relaxing ! We want to come back !